This classic style guitar package from Stedman guitars includes everything you will need start playing right out of the box. 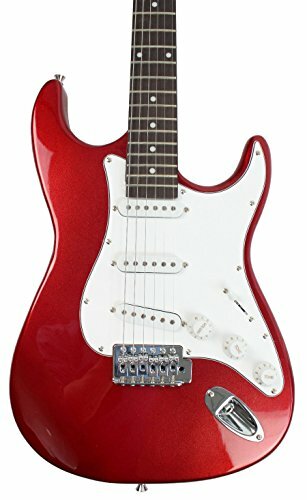 The full size 39" guitar has a rosewood fretboard and maple neck. The guitar features a three pickup configuration, with a pick up selector knob to mold your tone. The neck has 21 frets and is supported by a fully adjustable truss rod. 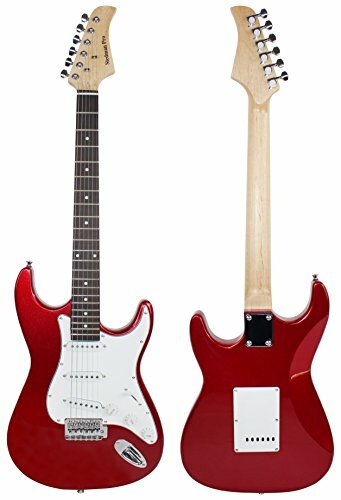 The body is made out of basswood, a very light wood which makes it ideal for beginning players who aren't used to guitars made of heavier wood. 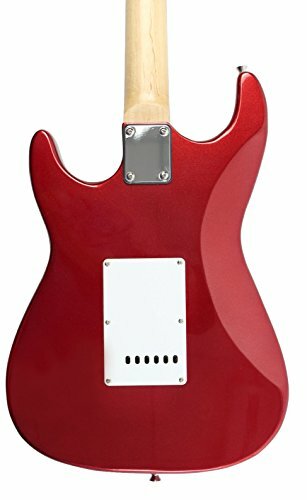 It also features a stylish pickguard to protect your instrument from scratching. 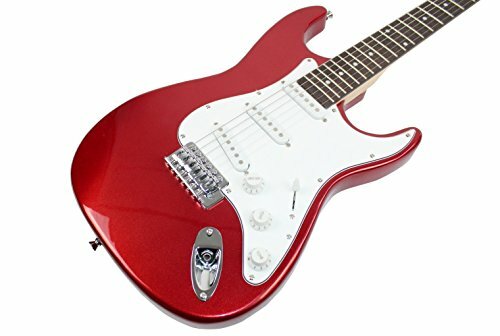 If you are considering purchasing a new guitar, the Stedman beginner series electric guitar will make an excellent addition to any collection. 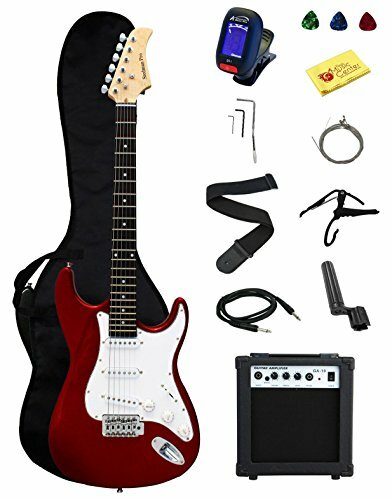 Comes with a 10 watt amp, a gig bag case, guitar strap, electronic tuner, cable, pics, whammy bar, string winder, polishing cloth are all included so you will need nothing else when you get your new guitar package from us. Plus, this full size guitar package costs less than most jar packs .